The next success for the company behind Angry Birds could be two-fold: convincing the US public they should buy a 5G mobile phone from Sprint Corp., and developing the world’s biggest video-game streaming platform in the process. Rovio Entertainment Oyj is in talks with “several” investors to take a stake in its subsidiary Hatch -- a “Netflix for games” platform that Sprint will use to showcase what its high-speed 5G handsets can do when it opens its new network in May. But Rovio Chief Executive Officer Kati Levoranta also needs new investors to buy into her vision for three-year-old Hatch, on which Rovio has already spent about 17 million euros ($19 million), to help it build up its library of games from developers such as Ubisoft and Sega. “The Hatch service is brilliant for use with 5G, and many of our strategic partners are looking for services that demonstrate how 5G works and the benefits it brings,” Levoranta said in an interview at the company’s seaside headquarters in Espoo, Finland. She said the company was looking to cede control of the business by bringing in new investors in order to build partnerships with new studios. 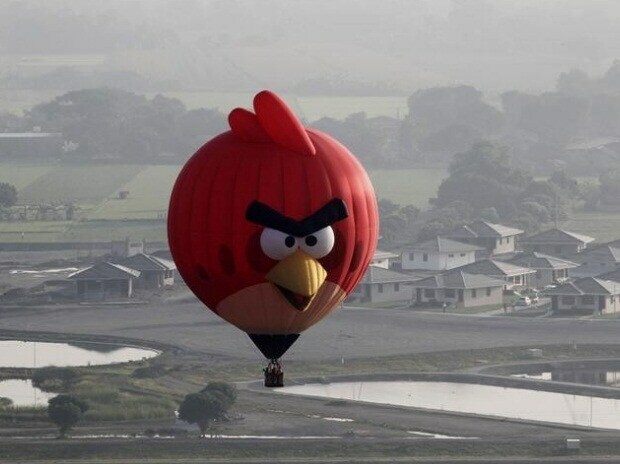 For Rovio’s shareholders, still reeling from the company’s plunge to half its value since the initial public offering a year and a half ago, outside investors for Hatch could ease concerns that its parent would need to bankroll it indefinitely. The app offers a portfolio of pre-vetted games to consumers, streamed to their handsets via a monthly subscription. Once the initial account is set up, mobile games can be played straight from the cloud, without needing to be downloaded or installed. The advent of high speed, low latency 5G networks makes the model all the more attractive to carriers looking to sell their latest services. Hatch is already working with an operator in three of the world’s top four games markets: Sprint in the US, NTT Docomo Inc. in Japan, and LG Uplus Corp. in South Korea. It’s looking for a partner in China, the world’s biggest market for video-games. Rovio has an 80 percent holding in the yet-unprofitable Hatch, with its four co-founders owning the rest. NTT Docomo is slated to take a stake, but the size depends on the outcome of Hatch’s full financing round that’s under way, according to Rovio.